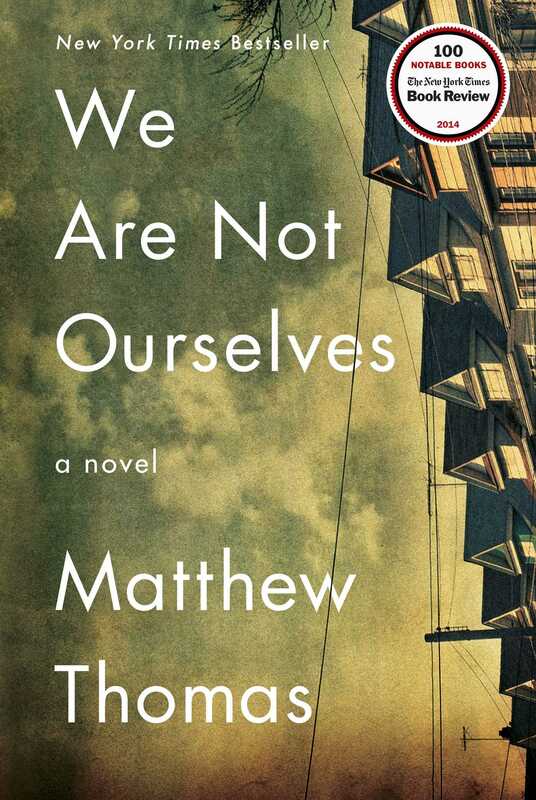 We Are Not Ourselves by Matthew Thomas spans about five decades, telling the story of a woman named Eileen Leary (nee Tumulty), her husband Ed, and their son, Connell. In many ways, I am in a unique position to love this book. It starts off in Irish Woodside, Queens, mere blocks from where I live in a dramatically changed, multi-ethnic neighborhood today. It was thrilling to read about the history of my area, so carefully and thoughtfully observed. Later, the action moves a few subway stops further into Queens, into Jackson Heights, a section of the city I also know very well. Even later, the characters make a huge conceptual, though slight geographic, move to the Westchester town where I attended grad school. I could picture every street named, the window of the bridal shop that opened during the course of the book. A few days after finishing the book, I walked down Court Street in Brooklyn past a church that was named often in the book, the site of one of Eileen’s major realizations. Many books are set in New York City, but not in MY New York City (Alice McDermott’s books excepted!). In most ways, though, I am not poised to love this book any more than anyone else, simply because it is so good I can’t make too many claims on it. If you don’t know much about the book, I would implore you not to read about it before diving into the book itself–I am not going to write about the plot here. I knew just a shred about it before starting it, but I think my experience would have been better had I not known what to anticipate. 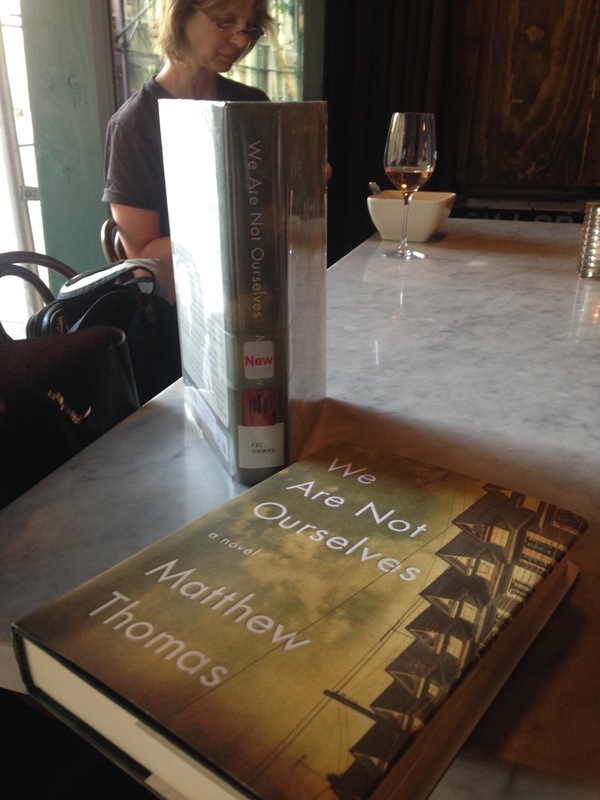 This is especially important with this book because Thomas’s pacing is just masterful. The book is about something long before that thing actually starts to happen (sorry to be vague!) and much of the story’s power is in its sequencing, its slow dawning, its close observation. It makes the most of the distance between the reader and the characters–in some ways, the reader gets to see the characters’ situation more clearly than they do, but in other ways, they know–or some of them know–what is going on long before the reader. It is an incredible act of balancing and calibrating. The pacing can also be really brave–for such a long book, there are major life events that are compressed to mere sentences. One example, which I will give away, is that after a long, difficult and despairing period of trying to get pregnant, Eileen conceives, carries, gives birth to and nurtures baby Connell, all in about three lines. By contrast, late in the book, she takes two pages to inventory every scrap contained in her husband’s wallet. This all goes back to serve that amazing balancing act Thomas executes in this book. Another act of bravery on the writer’s part is in allowing one of Eileen’s attributes to be–among many other wonderful ones–bitter, unsubtle racism. It makes total sense for the character and for her circumstances, but I think a lot of writers wouldn’t let her go there. (There’s never a time when her racism could be confused for the writers, by the way). The times when she checks herself, or comes around completely, are hard won and believable, too. The book ends twice. Somewhere in the middle of the novel, Connell starts to have his own chapters, so it is fitting that Eileen and Connell each get their own separate endings. Eileen’s is touching, a bit sentimental in a good way and brings the story somewhat full-circle. It is hard to describe Connell’s ending without giving away everything I want you to read for yourself, but I found it absolutely devastating, chilling and truly horrifying, yet also, impossibly, hopeful and beautiful. I finished this book a few weeks ago and I don’t think I’m lying when I say that I’ve thought about it everyday since. It’s truly incredible. I met a friend at a bar and we both had the book with us!